I turned fifty this month and one of the highlights of my birthday was beginning praise dance camp. I can’t think of a more joyful way to celebrate through dance. Our theme this year was Celebrate God. 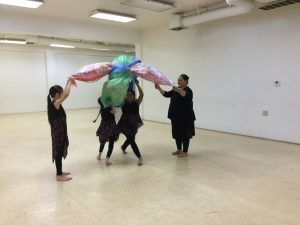 While this was the smallest praise dance camp I’ve ever had, it was, perhaps the richest. I was so moved by the beauty of the children’s worship and creativity and watched the Lord touch their lives deeply. Here is a video recap to give you a picture of our week together. 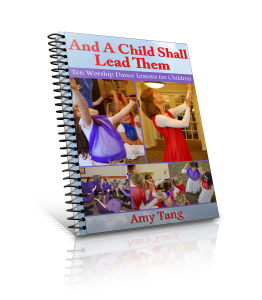 I hope it also gives you some practical ideas for planning a praise dance camp or class. So beautiful! Thank you for sharing. This is so beautiful Amy!! Congratulations on such a beautiful Summer Praise Camp!! I love seeing what you are doing, so beautiful to see you worshipping with the children, and so inspired by it!! Praise God!! Much love!! Thank you, Joanne. Praise God. very nice! the young ladies were focused and did a great job. it’s better to have a small group who loves to learn! great video that you can always share because everyone was engaged and looked their best! thank you for sharing. Yes, they were very focused. And I agree that it is so good to have a small group that wants to learn. Thanks for your encouragement.